Mr. Jain started his career in 1985 as a purchasing assistant in a soybean-processing unit of VXL India Ltd. in Harda (M.P.). For the next 13 years, he mostly worked in companies belonging to Birla, Glaxo and JK Group. During this period he acquired considerable experience, particularly in the export marketing of agri-commodities. In 1998 at the age of just 35 years, he started his own business and took the command of Suraj Impex (India) Pvt. Ltd. as its Managing Director with a small capital base but high spirit. Suraj soon became a major exporter of SBM and other Agri commodities from India to Vietnam, Indonesia, Malaysia, Philippines, Japan, Srilanka, Kuwait, Thailand, and Pakistan. Starting from an annual turnover of just Rs. 45 crores in 1999-2000 Suraj crossed the turnover of Rs. 1000 crores in 2010-11 itself and exporting to the EU and other countries also. The Company is holding the status of a Three Star Export House recognized by Government of India and received several awards from FIEO, SOPA, and APEDA for its excellent export performance. In 2004, as a major step to mark global presence, Mr. Jain set up a wholly owned subsidiary (WOS) in Singapore by the name of Suraj Agri-business Pte. Ltd. that added wings to the global business of the group. In a pursuit to backward integration, Mr. Jain promoted yet another Company Avi Agri business Pvt. Ltd. in 2009 (since converted to the public in 2016), which entered the manufacturing, sector in 2010. Its most modern plant at Ujjain is situated in the heart of soybean growing belt of Central India. Presently it has processing capacity of 1400 TPD and edible oil refining capacity of 300 TPD together with manufacturing facilities for value-added products like Soya Flour, Soya Grits, Soya Chunks, Soya Lecithin liquid & De-oiled Soya Lecithin, etc. In 2012 Mr. Jain entered the warehousing sector in a moderate way and set up warehouses at Tuticorin Port (Tamilnadu) and Kandla port (Gujarat) with a total area of about 148000 Sq. ft. and 300000 Sq. ft. respectively. Mr. Jain entered into solar power generation in 2016 and set up a 2 MW Solar Power Plant in the State of Telangana in his flagship Company Suraj Impex (India) Pvt. Ltd. 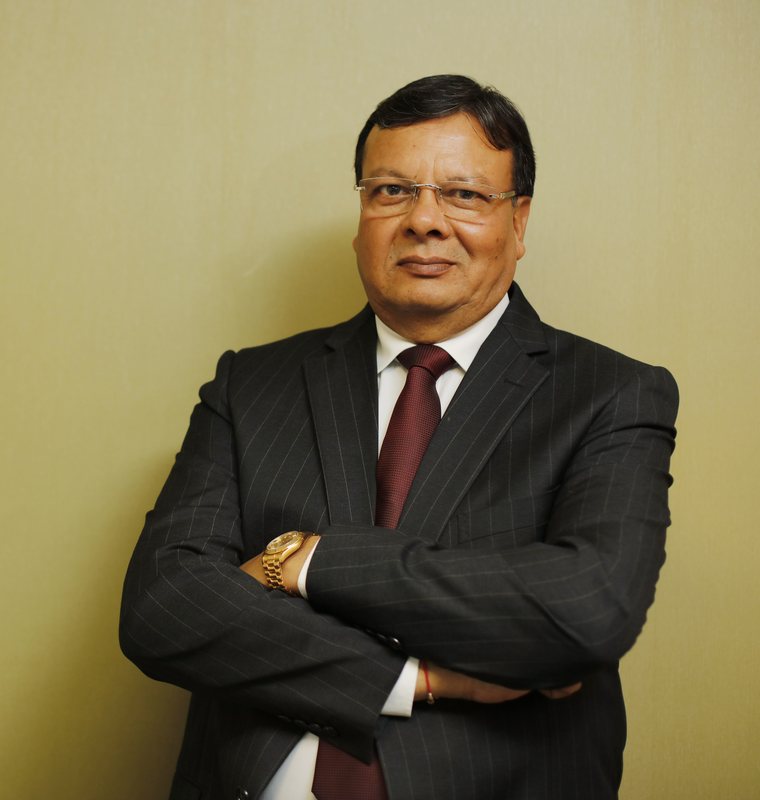 The conglomerate established under the leadership of Mr. Jain was named as AV Group in 2014. AV stands for “Always Vigilant”, so is the message he carries in his business ventures. “Concentrate on your customer and not on your competitor” is yet another message to his team. The current group turnover is above Rs. 2000 crores. Mr. Jain (55) did his post-graduation in Commerce and started his career in 1985 as a purchasing assistant in a soybean-processing unit of VXL India Ltd. in Harda (M.P.). For the next 13 years he mostly worked in companies belonging to Birla, Glaxo and JK Group. During this period he acquired considerable experience, particularly in the export marketing of agri-commodities. In 2004, as a major step to mark global presence, Mr. Jain set up a wholly owned subsidiary (WOS) in Singapore by the name of Suraj Agri-business Pte. Ltd. that added wings to the global business of the group. In a pursuit to backward integration, Mr. Jain promoted yet another Company Avi Agri business Pvt. Ltd. in 2009 (since converted to the public in 2016), which entered the manufacturing, sector in 2010. Its most modern plant at Ujjain is situated in the heart of soybean growing belt of Central India. Presently it has processing capacity of 1400 TPD and edible oil refining capacity of 300 TPD together with manufacturing facilities for value-added products like soya flour, soya grits, soya chunks, lecithin in liquid & powder form etc.